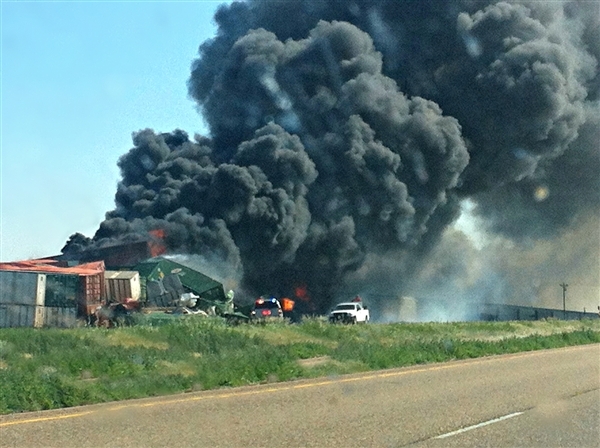 Two trains collided Sunday near the Oklahoma Panhandle town of Goodwell, sparking a diesel fire and forcing the closure of a stretch of highway. Three people were missing. I can’t believe that this is still happenings today, with today’s technology you would think this would have been prevented? Well apparently it still happening. Sadly to day, imagine if these trains carried people passengers. Luckily this incident had 3 crews, and they’re all missing presume dead. This entry was posted in Sad news by admin. Bookmark the permalink.